I totally forgot to share this publication when it came out, how terrible of me! So I thought better late than never and I may as well share it now. 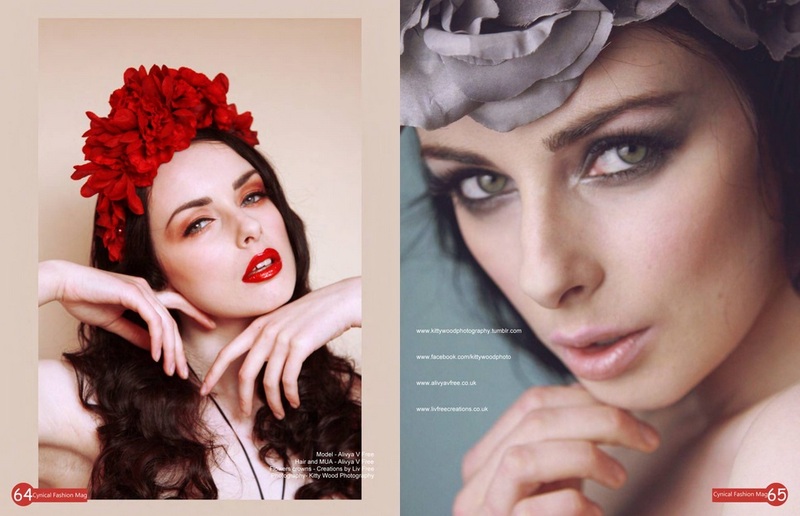 Alivya V Free wears flower crowns she made for her company Creations by Liv Free in Cynical Fashion Magazine. 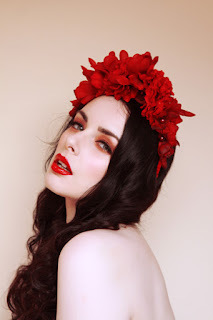 I don't really shoot classic beauty photos, people see me as an 'alternative' photographer so don't want them of me. However Liv trusts me and we shoot very creatively together, and I just adore these. 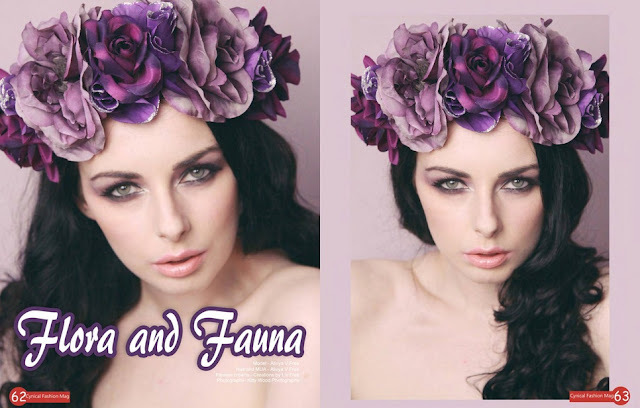 Three different looks, for three different flower crowns! 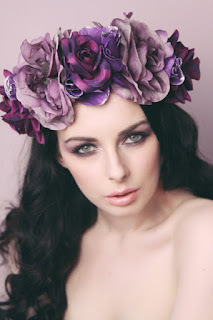 We went for three different locations and colour tones to suit each flower crown. First, a bright set full of contrast for the red. Then a softer, more delicate set with a purple wall for the purple crown. 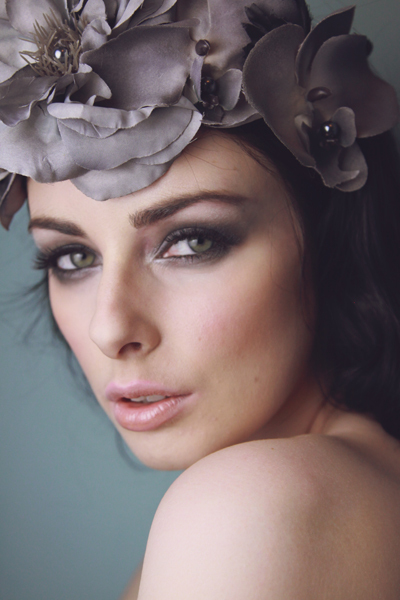 And finally, a teal wall and grey makeup to bring out the tones of the grey flowers. Liv is always a pleasure to shoot, I adore her.